I really liked the camo though! Can we buy that one separately? We're figuring this out with Majestic. The fabrics used for both jerseys is custom, so the minimum order needed to produce is right around 500 jerseys. If the demand is there, we'll make them. Stay tuned on that. Why can't you just make both?!?! To the above point, these are both completely custom and the minimums are high on both of these to start production. The winning jersey (Pinstripe) will be the jersey each member gets who joins our season ticket package. Why did you let fans who don't sit with us vote? Some members aren't renewing (we're also opening 100 more seats) and we are filling those seats with our lottery. We don't know who the winning lottery winners are yet, so the fairest way was to open it to the public. 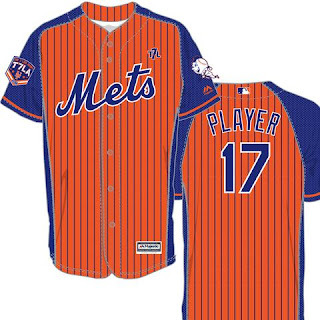 I won't be able to join you for the season, but I'd like a pinstripe jersey, can I buy one? Yes, we're working on a replica style that will closely resemble the ones our season ticket members will be getting. This is the same reason we wanted the vote open to the public. I didn't like either option, but I'm a season ticket holder of yours! That's unfortunate and we were nervous that may happen. It's hard to keep everyone happy when it comes to a vote between two choices. We were personally happy with either of them, and hope you are too. For 2016 we didn't offer any options and everyone seemed to be happy with what we chose. You can still wear the 2016 cut, or anything orange. We aren't picky and want you to be comfortable. I'd like to join your crew for 2017. How can I do that? Our lottery will be open shortly. Join our mailing list to stay in the loop! LGM 2017!